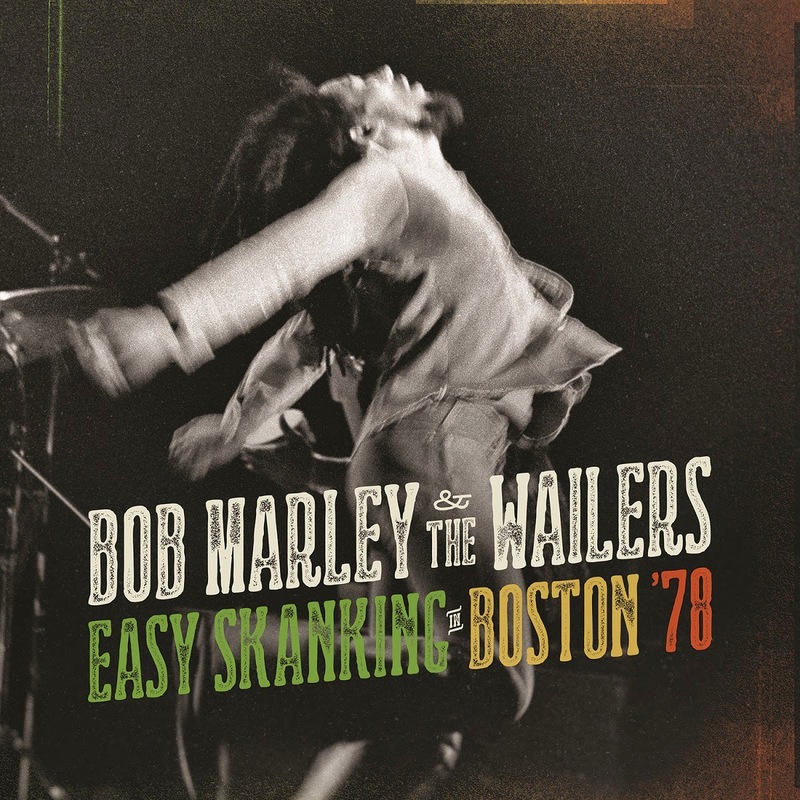 JP's Music Blog: CD Review: In Honor Of Bob Marley's 70th Birthday, Universal Music Wants Everyone To Join In Some "Easy Skanking"
CD Review: In Honor Of Bob Marley's 70th Birthday, Universal Music Wants Everyone To Join In Some "Easy Skanking"
Robert Nesta "Bob" Marley was born 70 years ago on February 6th. To honor him and his music, Universal Music will be rolling out new releases throughout the year, beginning with a rare, unreleased concert from 1978. The new release entitled "Easy Skanking In Boston '78" will be available in a number of formats including CD, DVD and Blu-ray. In 1978, Bob Marley was touring behind one of his most successful albums "Kaya" and performed at Boston's Music Hall on June 8th of that year. The concert has sat in the vault until the technology was available to clean-up the recording and the film footage which was shot on a hand-held camera by a fan at the front of the stage. Also, for the first time, the family is incorporating technology which allows animation to be placed between gaps in the video due to tape rolls having to be changed during the show. The thirteen-song set list fills a CD to the brim with over 75-minutes of music, beginning with the steady groove of "Slave Driver." The sound of this recording is very clean and professional and is a much welcome addition to the Bob Marley catalog. Marley's interplay with the i-Threes on "Them Bully Full" is great as the band jams along behind them, while the music of "Rebel Music" just pulsates with some improv vocals. Bob Marley does seem a little tired of singing "I Shot The Sheriff," but the passion of the seven-minute "No Woman No Cry" more than makes up for it. One of the highlights is an epic ten-minute energetic performance of "Jamming." Marley and his band deliver a demanding rendition of "Get Up Stand Up," which leads into the stamping closer "Exodus." In honor of Bob Marley's 70th birthday, Universal Music Group in association with the Marley family will continue rolling out new unreleased material throughout the year. If this first release is any indication of what's to come, then I, for one, cannot wait. To find out more about Bob Marley's "Easy Skanking In Boston '78." please visit bobmarley.com.